This week was better than last week. I was, at least, able to make it to the day job every day. Unfortunately, I still have tests in my future. I’m just hoping that they’ll be able to find something so I can at least have a direction that helps me to get completely better. I had lots of ideas swirling around in my head all week, but I never really landed on one for the SLS theme. It makes today super hard. It always seems to go by so much faster when I don’t have a plan. I do hope the one I settled on will be a fun one for you all to explore. I was trying to think of something that relates to the season, but not in an obvious way. Choosing this theme also gives me one for the next (as I’m sure you will guess). Anyway, let’s just get right to it. Let’s put on our thinking caps, break out our playlists and get to work! Our theme for Song Lyric Sunday this week is boys. I’ve been thinking of this song since I posted the theme last week, and luckily it serves as a choice for both weeks. This isn’t really my genre, but I just had to post it since it was so persistent in my head all week. I remember listening to this song in junior high school. It was one of my favorites. I’ve always wanted someone to love me this way, and I do believe I’ve finally found it. It’s been a rough few months, but I feel that we’re stronger than we’ve ever been. As cheesy as this song is and this all sounds, I just needed a little bit of it on this snowy Sunday morning. The Song Lyric Sunday theme for last week was first and the Song Lyric Sunday theme for this week was last. It’s a two for one! Please feel free to click the link, read the rules and post one of your own. Last week is almost a blur. I ended up getting sick the Sunday before Thanksgiving and I was sick up until yesterday. I went to the ER twice this week, and they still can’t really tell me what’s wrong; but they did give me some medication that seems to be working. I’m finally starting to feel like myself again, and it feels nice. I hope that explains why I missed posting a song for my own prompt last week. I’ve felt bad about it ever since, but I just wasn’t up to posting anything on Sunday. The only reason I even posted a theme was because I know how much you guys love it and I just couldn’t let you down. Hopefully, this means I’m back in more ways than just posting the theme. 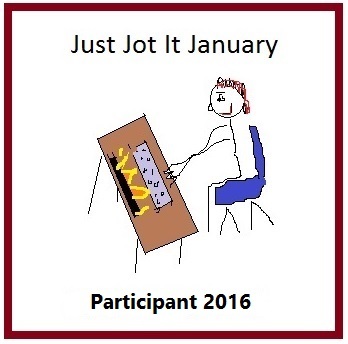 I’ve also really missed taking part in commenting and listening to your selections. I am so thankful you all love it so much that you visit each other’s blogs and really make this a blog-hop worth continuing. With all of that, I think it’s time to just get right to it. Let’s put on our thinking caps, break out our playlists and get to work! 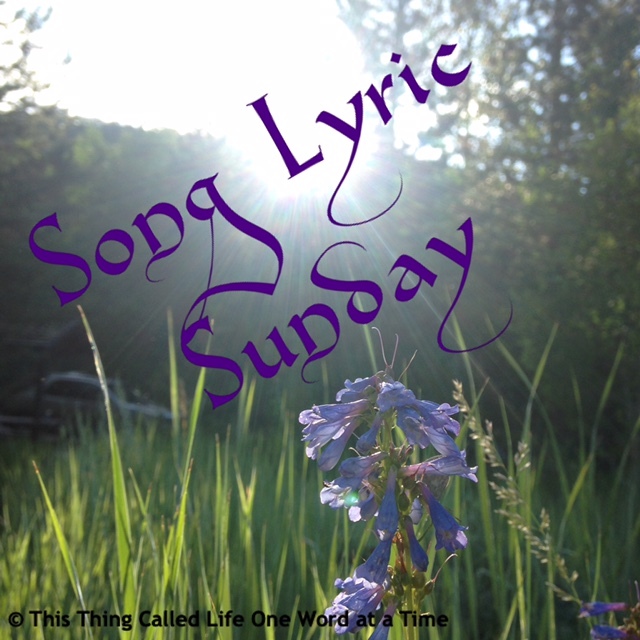 Our theme for Song Lyric Sunday this week is last. I did something yesterday that I haven’t done in years; maybe even more than ten years, which is crazy that’s its actually taken so long. I put up a Christmas tree. The best part was that my boys helped and my hubby was there to join in the laughs and take pictures. I wasn’t expecting it to be such a cozy, family thing, but I was so happy that it naturally happened that way. I also realized that it was the first Christmas tree in our new house and the first one that my hubby and I have had since we’ve been together. I was such a Grinch last year, but it didn’t make me happy; so this year, I’ve been determined to be as festive as possible. So far, it’s been working out perfectly. But enough about me. Since it sort of fits with everything that happened yesterday, let’s just get right to it. Let’s put on our thinking caps, break out our playlists and get to work! Our theme for Song Lyric Sunday this week is first. I’m assuming someone else will choose this one as well, but I just couldn’t not post this one. As soon as I came up with the theme, this song started playing in my head. I just finished listening to it, and I have the chills. It is such a powerful song and Beyonce is masterful in her craft, to say the least. I didn’t realize how powerful the lyrics were until I just read them. Wow. I’ve been that person who was told they weren’t good enough. It is such an empowering place when you finally realize your worth and walk away from the person who was holding you back. The Song Lyric Sunday theme for this week was listen. Please feel free to click the link, read the rules and post one of your own. Today really got away from me. I was sitting here relaxing and crocheting when I suddenly remembered that it was Saturday and I hadn’t posted the theme yet. I meant to do it before I left for a party today, but I ran out of time. I do apologize for the lateness of it, but at least I remembered, right? I’m going to keep this short and just get right to it. Let’s put on our thinking caps, break out our playlists and get to work! Our theme for Song Lyric Sunday this week is listen.